KMM Freight Systems is a freight forwarding organisation dedicated to the objective of achieving total customer satisfaction - Located at Chennai for more than a decades. KMM has grown in strength and achieved market recognition as a leading provider of efficient carrier service. Under one roof, you will find effective solutions related to get the best out of your Import or Export Shipments, by Air, Land or Sea. 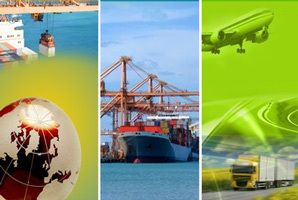 Specializing in International Air and Sea freight transportation, the company is also into logistics services. Accredited by the IATA (International Air Transport Association) KMM is backed with an expertised advisory committee consisting of qualified professionals from different areas. And, it is also serves as an Active Member with Air Cargo Agents Association of India (ACAAI).